Although the Stock Market had crashed recently, it was too early for most people to predict that the Great Depression was about to get underway. For 39-year-old spinster schoolteacher Hildegarde Withers, it's business as usual. And part of her usual business is taking her class for an outing to the aquarium to see the penguins. Instead, she spots the floating corpse of Wall Street broker Gerald Lester and quickly realizes that Inspector Oscar Piper of NYPD Homicide isn't up to solving this tricky case, especially when he appears ready to accept he confession of an obviously innocent young man. Red herrings, not penguins, abound. Miss Withers has a number of questions that need answers before she's willing to reel in the real murderer: Who did Lester's wife meet behind the stairs? What did the pickpocket see? Who was the man in the fedora? And just how did Miss Withers' hatpin turn into a lethal weapon? 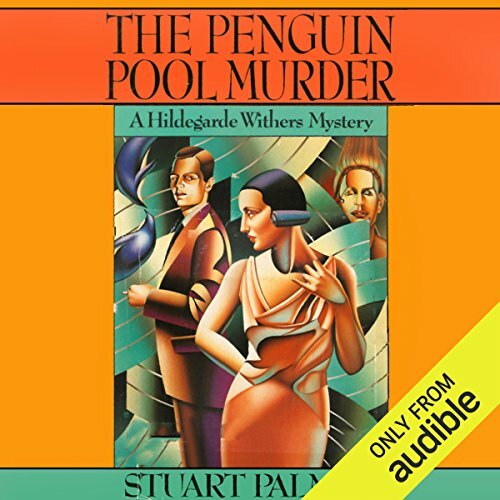 First published in 1931, The Penguin Pool Murder was as big a hit with book lovers as it was with moviegoers when it was filmed the following year starring Edna May Oliver as Miss Withers and James Gleason as Inspector Piper.